Trump warns Honduras over migrant 'caravan' heading to U.S.
President Donald Trump threatened the government of Honduras Tuesday, over what he called a "caravan" of migrants heading from Central America to the southern U.S. border. Trump, who's pushed to tighten border security since his presidency began, said migrants are traveling to the United States unlawfully because of weak policies. "Honduras, Mexico and many other countries that the U.S. is very generous to, sends many of their people to our country through our WEAK IMMIGRATION POLICIES," he tweeted. "Caravans are heading here. Must pass tough laws and build the WALL. Democrats allow open borders, drugs and crime." Trump's message appeared to react to reports that some 1,600 or more Hondurans were planning to cross the Guatemala border as the first step to coming to the United States. USAID says the United States gave $175 million in aid to Honduras in fiscal year 2017. "The United States has strongly informed the President of Honduras that if the large Caravan of people heading to the U.S. is not stopped and brought back to Honduras, no more money or aid will be given to Honduras, effective immediately," Trump tweeted. Trump has complained about "caravans" of immigrants coming from Honduras before. In April, he used such information to promote his border wall along the southern border of the United States. The president has long argued that such illegal immigration brings crime and drugs into the country and has pushed that theme while campaigning for Republicans ahead of the midterm elections next month. The Trump administration's so-called "zero-tolerance" policy on illegal immigration has led the government to separate families at the southern border ahead of deportation hearings. The move created strong responses from liberals and human rights organizations. Many immigrants have attempted to claim asylum, pleading that they could be harmed if they were sent back. 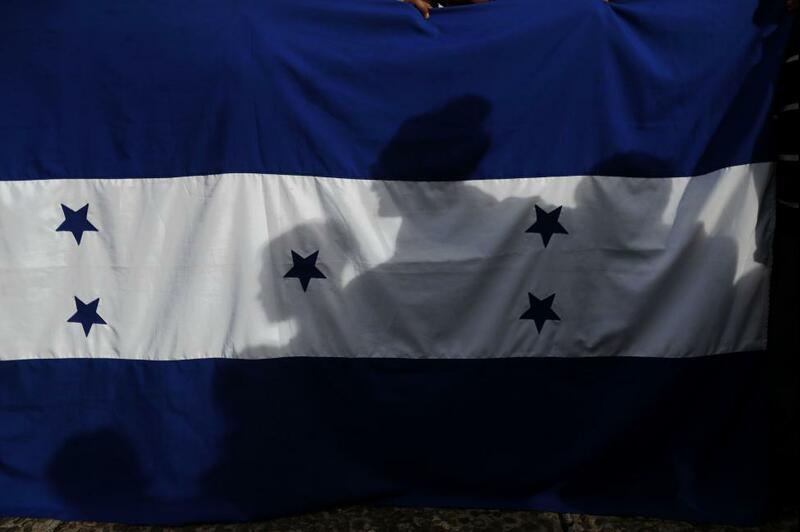 According to USAID, Honduras "has alarming levels of crime and violence and is a prime transit point for the smuggling of arms, drugs, and people." "Risk factors, such as deep social inequalities, lack of opportunities, and lack of access to quality services, as well as, the lack of protective factors at multiple levels in society contribute to the prevalence of violence in Honduran society," the organization added. U.S. - U.S. Daily News: Trump warns Honduras over migrant 'caravan' heading to U.S.